Yes, we are being followed, all the time. They maintain their distance from us, remaining just nearly in sight. They are continuously collecting information about us, and they are continuously sending signals to us. Now, before getting scared, I must reveal that these followers of ours are nothing but Man-Made Satellites. In fact, the word “Satellite” even means “Follower” in Latin. Satellites are following us continually, revolving the earth in their orbits and continually sending and receiving information with the help of satellite communication systems. The Second World War resulted in a spur of development of two seemingly discreet technologies-missiles and microwaves. Very soon, expertise was gained on these two fields when it was first thought of the confluence of these two technologies, which resulted in the era of satellite communications. The first artificial satellite was the Sputnik of theUSSR, though it wasn’t exactly a communications satellite. The first ever communication with the help of a satellite was when Christmas greetings were broadcast by US President Eisenhower on Christmas Eve, 1958. Since then we have come to a stage where normal life without satellite communication systems looks nearly unimaginable. 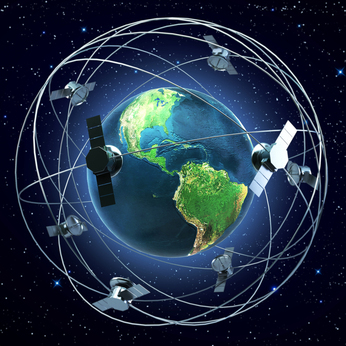 Satellites nowadays are being used in fields of meteorology, GPS tracking, mining applications, DVB/DTH television systems, internet and mobile communications. The space station is the segment of the satellite communication system that is carried to the outer space and set to revolve the earth in a pre-defined orbit. It consists of one or several satellites organised into constellation. Usually a variety of different orbit paths, from elliptical, circular to hybrid systems, may be chosen for the space segment of the satellite depending on the application. The control station consisting of all the ground based mechanisms for the direct control and ministration of the satellites termed as the TTC (Tracking, Telemetry and Command). This includes ensuring the satellite is the exact position it is required to be in, maintaining it in position and making any changes that may be required. The ground stations consist of all the Earth stations. Depending upon the type of service considered, these stations can be of various range of sizes. These include direct-to-user stations such as antennae for DTH televisions, satellite mobile handsets, etc which provide the user a direct connection to the space stations; Interface stations which connect the space station to a network which is then individually accessed by the users, for example, satellite television; Hubs, which act for sending information from one user station to another or vice versa through the satellite station.